The international community has at its disposal a comprehensive institutional machinery to respond to human rights concerns around the world. At its centre are the UN Human Rights Council, the Special Procedure system, the Treaty Body system, the Universal Periodic Review (UPR) and the Office of the High Commissioner for Human Rights (OHCHR). It is clearly of great importance for the promotion and protection of human rights that these institutions, mechanisms and processes operate to their fullest potential and successfully fulfil their mandates. For that to happen, policy-makers must have at their disposal accurate information and analysis about the manner in which the system is functioning and evolving, and practicable recommendations for how it can be improved. The URG will make recommendations on how to strengthen the capacity of international human rights mechanisms and processes to deliver on the ground improvements in human rights. Commissions of Inquiry (COIs) are a relatively new mechanism focused on investigating, monitoring, and recording human rights violations in the context of urgent human rights situations. Over recent years their profile and importance has grown significantly, as they have considered situations of violations in inter alia, the Democratic People’s Republic of Korea (DPRK), the Syrian Arab Republic, Libya, and Eritrea. This project seeks to assess the impact of these new mechanisms and analyse whether they are succeeding in their stated goal of securing accountability for human rights violations. It will also provide recommendations on how to strengthen the mechanism, and will identify emerging methodological good practice for mandate-holders and future COIs. The media has a crucial role to play in increasing the transparency, accountability, and visibility of the Human Rights Council. That is, it can help break the ‘Geneva bubble’ and provide journalists and citizens on the ground with the necessary information to hold Council Members accountable to their human rights obligations and commitments. Notwithstanding this importance, URG research has shown that international press coverage of the Council is limited, and a narrow focus on country-specific situations, means that important thematic issues are often overlooked. This project aims to strengthen media interest in, and knowledge of, the Council at national and international levels. It will do so through monitoring global media trends vis-à-vis the Council, to better understand public perceptions of the UN’s human rights pillar, and through engaging with, and providing opportunities and capacity building, for journalists for journalists during regular sessions of the Council. UN Special Procedures, often seen as the ‘jewel in the crown’ of the international human rights system, face serious challenges. A significant rise in the number and scope of mandates, together with a drop in the resources made available, have led to political tensions that create uncertainties in terms of sustainability and future effectiveness. This project on Special Procedures seeks to make sense of the pressures and tensions and help policymakers make necessary decisions to safeguard the future of the Special Procedures system. The project is designed to help support, strengthen, and improve this crucial human rights protection mechanism. Since the Human Rights Council was established there has been a huge increase in the number of resolutions adopted by the UN body (from around 30 in 2006 to over 100 in 2012). 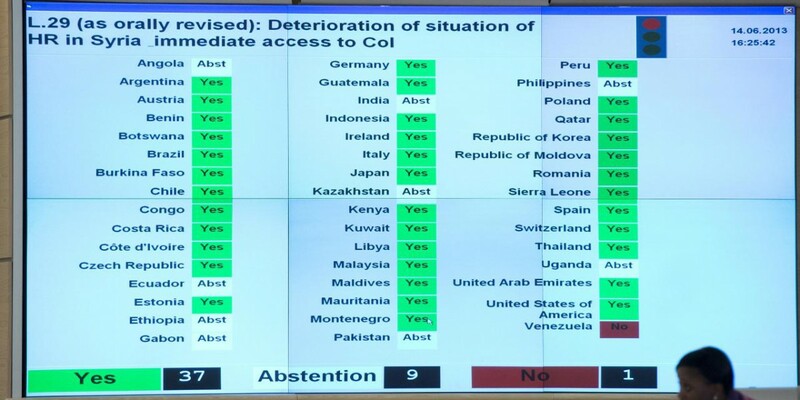 This represents a significant drain on resources and yet, to date, there has been no analysis of what this trend means, whether it has resulted in better human rights protection on the ground; whether it is sustainable; and what steps can be taken to make UN human rights resolutions more effective. This project therefore aimed to record and analyse trends vis-à-vis Council resolutions, make sense of those trends, and predict future changes. It analysed the different models of resolutions, what tools they use to promote human rights (e.g. commissioning OHCHR reports, convening panel debates in the Council) and whether different resolutions are designed to have an impact on the ground. With this project, the URG sought to provide policy advice for making the development of Council resolutions more sustainable and more effective in the future. The Universal Periodic Review (UPR), the Treaty Body system, and Special Procedures mechanism are supposed to be complementary and mutually reinforcing. But is this proving to be the case in practice? 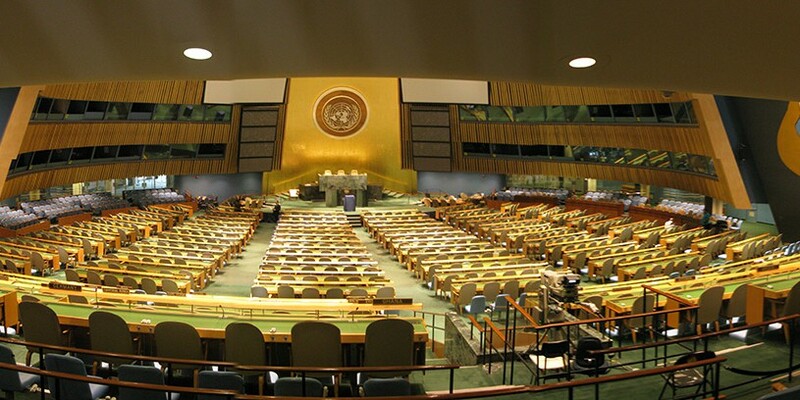 In February 2012, the General Assembly initiated an ‘intergovernmental’ review process aimed at strengthening the UN human rights Treaty Body system. This state-led process concluded in April 2014, with the General Assembly’s adoption of resolution 68/268 on ‘strengthening and enhancing the effective functioning of the human rights treaty body system’. If correctly implemented by all relevant stakeholders, this resolution has the potential to bring profound positive changes to the Treaty Body system. This project analyses the outcome of this intergovernmental process, offers thoughts on the implications of resolution 68/268 for states, Treaty Body members, OHCHR and civil society, and addresses the question: what next? 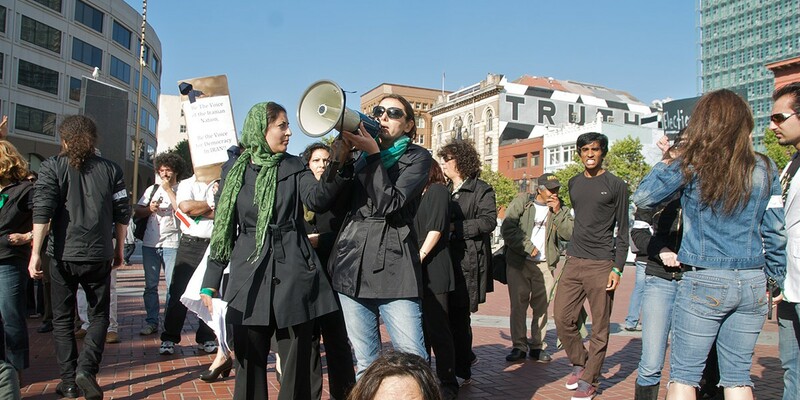 The system of communicating with the international human rights mechanisms has evolved steadily over many decades. Today, the system is highly complex and lacks proper coordination. There are serious questions as to its accessibility for people on the ground and as to its effectiveness in actually helping people. The project will therefore look at the historical evolution of petitioning the human rights system (Treaty Bodies, Special Procedures, the Confidential Complaints Procedure etc. ), and take a fresh look at whether the system is ‘fit for purpose.’ It will suggest new ideas for how the system could be reformed to make it more cost-efficient, accessible responsive and effective. The creation of the Universal Periodic Review (UPR), a system of peer review under which the human rights record of every state is scrutinised by the international community, was one of the major innovation of the Human Rights Council. As we approach the end of the UPR’s second cycle, it is important to review the mechanism’s achievements and failures, understand the degree to which it has resulted in measurable improvements on the ground, and identify ways in which it can be improved in the future. URG’s multi-year project on the UPR sought to, inter alia: analyse and understand the political history of the UPR from its inception to the end of the second cycle; analyse each stage of the ‘UPR cycle’ to identify lessons learnt from the UPR’s first ten years, to identify achievements and weaknesses; and to offer ideas for the future strengthening of the mechanism. 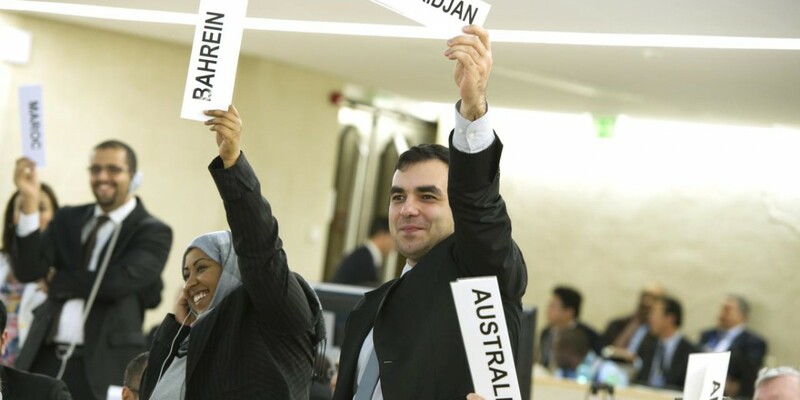 Recently, there has been an increasingly politicised and polarised debate on the value of country-specific Special Rapporteurs – with a number of States calling for this tool to be removed from the Human Rights Council altogether. Unfortunately, to-date there has been relatively little objective evidence gathered in support of claims on both sides of the discussion – particularly in relation to effectiveness and impact of country-specific work by the UN Special Procedures. This project therefore seeks to provide an objective and detached assessment of the strengths, weaknesses, credibility and potential impact of country-specific mandates. It aims to assess the impact of, and draw lessons from, a sample of past mandates including inter alia: South Africa, Chile; Equatorial Guinea, Guatemala, El Salvador, and Rwanda – as well as the emergence and the impact of the first thematic mandate – the WGEID – originally intended to address the situation of enforced disappearances in Argentina. Focusing on past, rather than present cases, it hopes to diminish the politicisation of the debate through providing historical distance and enabling the contribution of the States concerned by those mandates. 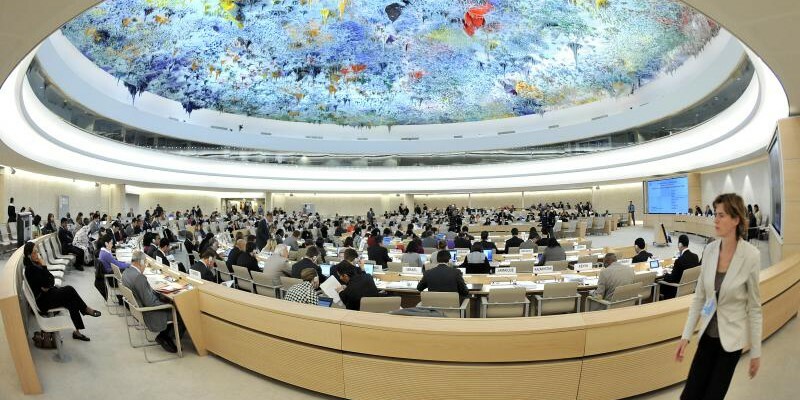 Vision 2021: What is the General Assembly’s 2021-2026 review, and how might the Human Rights Council usefully contribute?